"We Meet Our Clients by Accident." The legal weight for an 18 wheeler in the U.S., without an oversize or overweight permit, is 80,000 lbs. (i.e. 40 tons). In comparison, the average passenger vehicle weighs somewhere around 5,000 lbs. Because of this enormous difference in weight, occupants of passenger vehicles are more likely to suffer serious injuries in accidents involving passenger vehicles and large trucks. What are some of the potential causes of accidents between a large truck and passenger vehicle? 1. Driving too fast and/or too close. The length of time for an 18 wheeler to stop is generally 40% greater than that of a passenger vehicle. This estimate may change depending on the weight of truck’s load, the road conditions and whether or not the truck is bobtailing (no trailer attached). If a truck is driving too fast for the road or weather conditions, it can cause a major accident if traffic in front of it suddenly stops. Similarly, if a truck driver is driving too close to the vehicle in front of him and the vehicle stops, then the truck may not have sufficient time or distance to stop before striking the passenger vehicle. According to Federal Motor Carrier Safety Regulations, truck drivers must keep a log, showing his hours of operation and their off-duty hours. So, a long-haul truck driver is generally allowed to drive up to 11 hours in a 14 hour time period, which cannot be extended with time off for meals and fuel stops. At the end of the 14 hour time period, the driver must take at least a 10 hour break, regardless of the number of miles he has driven. After the 10 hour break, he can resume driving his truck. Furthermore, a truck driver may not drive after 60 hours of on-duty driving in a 7 day (consecutive) period. He can resume his on-duty driving after taking at least 34 consecutive hours off. These laws were put into place to reduce driver fatigue. Sometime, a load on a truck is not tied down properly. As a result, it shifts during transport and the weight of the load can cause the truck driver to lose control of his truck. Victims of truck accidents generally suffer serious injuries. 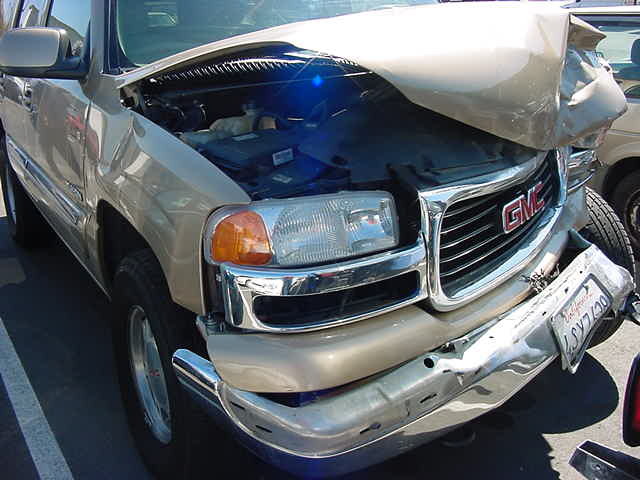 Due to the severity of such injuries, it is very important to contact an attorney familiar with truck accidents. We, at The Mason Law Firm Truck Accident Attorneys, are very familiar with truck accidents and the type of injuries that can result from such accidents. The Mason Law Firm is managed by Personal Injury Attorney Mason Rashtian, whom, as a former insurance defense attorney, defended truck drivers involved in major accidents. Hence, he is very familiar with truck accidents, ranging from T-bone collisions, to side-swipe collisions to rear-end collisions. Additionally, he has litigated truck accidents all throughout California, including, but not limited to, Los Angeles County, Ventura County, Orange County, San Bernardino County, and Palm Springs/Indio area. According to the CDC, in 2008, motor vehicle related deaths (i.e. cars and light trucks) reached an all-time low in the United States, while motorcyclist deaths reached an all-time high, more than doubling between 1999 and 2008. Motorcycle accidents generally result in serious injuries or death because motorcycles provide very little protection in a crash when compared with other vehicles. A motorcycle accident can occur in a variety of ways. A motorcyclist may crash into a passenger vehicle, truck or a bus. He or she could be involved a head-on collision, a side collision, or a rear-end collision (less frequent). When it comes to head-on collisions, the chances of sustaining a major injury increase because the rider is often thrown from his or her bike in the crash. Sometimes, an accident between a motorcycle and a vehicle occurs because the vehicle makes a left-hand turn in front of a motorcyclist, striking him or her or forcing the motorcyclist to swerve to avoid an pending collision. This type of accident generally occurs because the driver of the vehicle does not see the motorcycle due to its small size and/or does not expect a motorcycle to be passing the vehicle on its left. Another cause of motorcycle accidents involve lane splitting. This occurs when a motorcyclist drives between two lanes of traffic with cars on both sides, such as in traffic jams. We, at The Mason Law Firm Motorcycle Accident Attorneys, are experienced in helping victims of motorcycle accidents. The Mason Law Firm is managed by Personal Injury Attorney Mason Rashtian, who is “AV” Rated with Martindale-Hubble – the highest rating an accident attorney can achieve in the fields of legal ability and ethical standards. These products were recalled because they may be contaminated with salmonella, a bacterium that can cause an acute infection with symptoms such as diarrhea, fever and vomiting. Symptoms usually develop within one to four days following consumption of contaminated food. According to the FDA, in some cases, symptoms in individuals may resolve without the need for medical help, but others may develop a serious illness that can lead to hospitalization. To date, no illnesses have been reported. These products, distributed through retail stores and wholesalers in California, come in a 4 or 5 oz. clear, plastic, clamshell container and a 1lb. or 2lb. ziplock bag with a sell by date from 6/17/12 to 7/6/12. Anyone who purchased these products should immediately discard them. For a copy of this full press release, please click here. Disclaimer: This recall has been brought to you by The Mason Law Firm, managed by Mason Rashtian. This article is only for informational purposes and not meant to serve as legal advice. What happens when a bus passenger is injured? What rights do they have? Under California law, common carriers such as bus companies must use the utmost care and diligence of a very cautious person when transporting passengers. Often times, bus companies contract with outside vendors who operate their buses. So, a bus company (or City) may own the bus, but the bus is operated by a third party such as MV Transportation, First Transit or Veolia Transportation. Bus accidents are common. Sometimes, a bus takes off or stops abruptly and unexpectedly, causing a passenger to fall. Sometimes, buses get into accidents with other vehicles. Sometimes, a passenger gets injured because the bus driver closes the bus doors on an entering or exiting passenger. These acts can often result in injuries to bus passengers, for which the bus company can be held responsible. If you have been injured while riding on a bus, it is advisable that you contact a personal injury attorney to review your options. Before opening his own law practice, Mason Rashtian, managing attorney at The Mason Law Firm, used to defend bus companies in personal injury actions. So, he is very familiar with bus accidents and is in the unique position of assessing and analyzing accidents from different points of view. Disclaimer. This article strictly talks about California law. Federal law or laws in other states may differ. This article is for educational purposes only and is not meant to serve as legal advice. You should always contact an attorney to discuss any legal matter. This allergen advisory statement should be at the end of the ingredients list but was inadvertently omitted from the recalled product. People who have an allergy or severe sensitivity to peanuts or tree nuts (chestnuts, Brazil nuts, walnuts, hazelnuts, pecans, pine nuts and cashews) run the risk of serious or life-threatening allergic reaction if they consume the recalled product. No illnesses have been reported to date. The affected product is sold in pint containers with a UPC of 7684020899, and date codes: JUL1113BJ1, JUL1213BJ1, AUG0113BJ1, AUG0213BJ1, AUG2313BJ1, AUG2413BJ1, AUG2513BJ1, SEP2013BJ1, SEP2113BJ1, OCT2313BJ1. The date code can be found on the bottom of the pint. According to the press release, consumers are asked to “discard any remaining product, rinse out the pint container, cut out and retain the UPC on the side of the container and call 877-270-7397, which is operational 24 hours a day seven days a week, for a replacement coupon.” For a copy of this full press release, please click here. If you are involved in a personal injury incident and are in need of filing a lawsuit, be sure that you file your lawsuit against as many defendants as possible. For example, you are the lead car involved in a three car accident. In the accident, your vehicle (identified as vehicle 3) first gets hit from behind by the middle car (identified as vehicle 2). Then, the middle car (vehicle 2) is struck from behind by another vehicle (identified as vehicle 1) and pushed into your vehicle a second time. You are injured in the accident and need to file a lawsuit. Under this scenario, you should file your lawsuit against both the middle vehicle (vehicle 2) and the vehicle behind him (vehicle 1). Why? First, you need to protect yourself for liability purposes. If you sue only one of the two drivers, then he or she will simply deflect liability by blaming the other driver not named in the lawsuit. This is typically called the “empty chair” defense. Next, you need to protect yourself on the issue of damages by maximizing your chances of recovery. What if you sue the driver of the middle car (vehicle 2) only, but that driver only carried a minimal policy of $15,000 and your injuries exceed that amount? If you sue both vehicles, then you can go after both vehicle 1 and vehicle 2 to recover for your injuries. Disclaimer: This article is brought to you by Mason Rashtian of The Mason Law Firm. This article is only for informational purposes and not meant to serve as legal advice. According to the press release, the item can be brought back for a full refund at place of purchase. For a copy of this full press release, please click here.